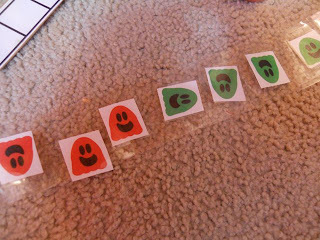 Welcome to Three Ghost Friends Toddler Busy Bag Activities Week! 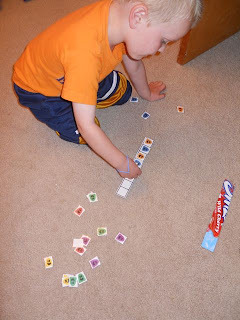 What are toddler busy bags? 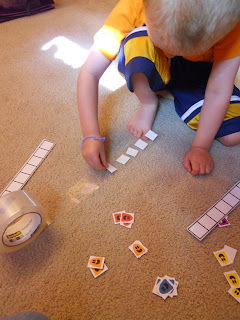 They are quick activities that can be pulled out when a parent needs a few minutes to keep their toddler busy -- make lunch, go to the bathroom, talk on the phone, or check Facebook! Keep all the materials in a bag so that they can be set up in a moment's notice or taken with you as a portable activity. 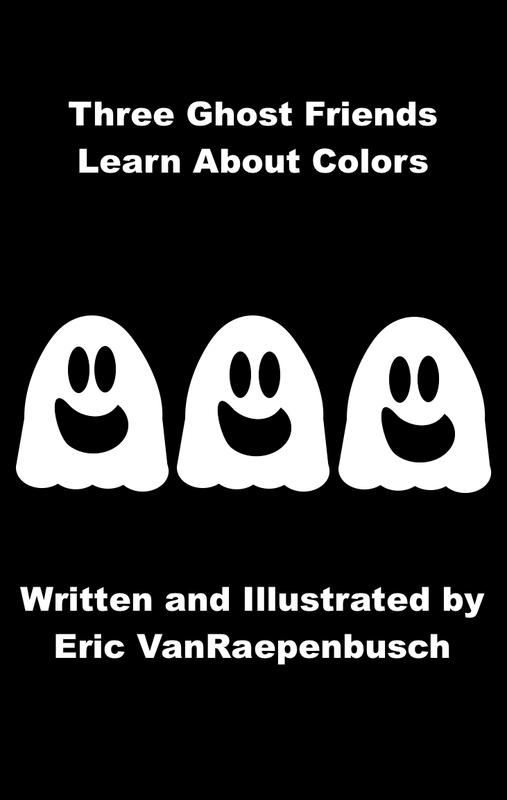 When the week comes to an end you will have five toddler busy bag activities that go along with the Three Ghost Friends e-books! Even if you do not have an iPad or iPhone your toddler could still benefit from the activities. Please use them (and tell a friend who has an iPad or iPhone that you heard about these great e-books for young readers)! 1. 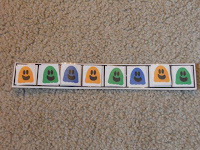 Print the pattern activity sheet on thick paper. 2. Cut out the pattern grid strips and mount on cardboard. 4. 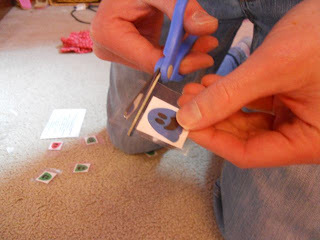 Laminate your ghosts or cover your ghosts with clear tape (to increase durability). 5. Create patterns on grid. 6. 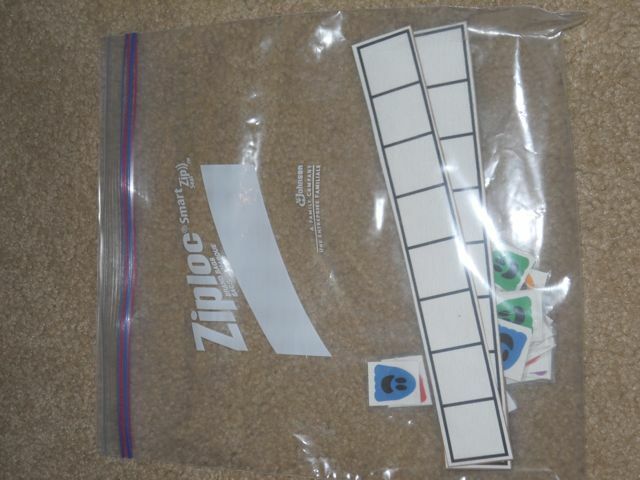 If desired, use velcro on strips and ghosts to keep them from falling off the grid. My 4 year old son helped stick the ghosts to the packaging tape. We extended the tape far enough to fold back over the top of the ghosts. 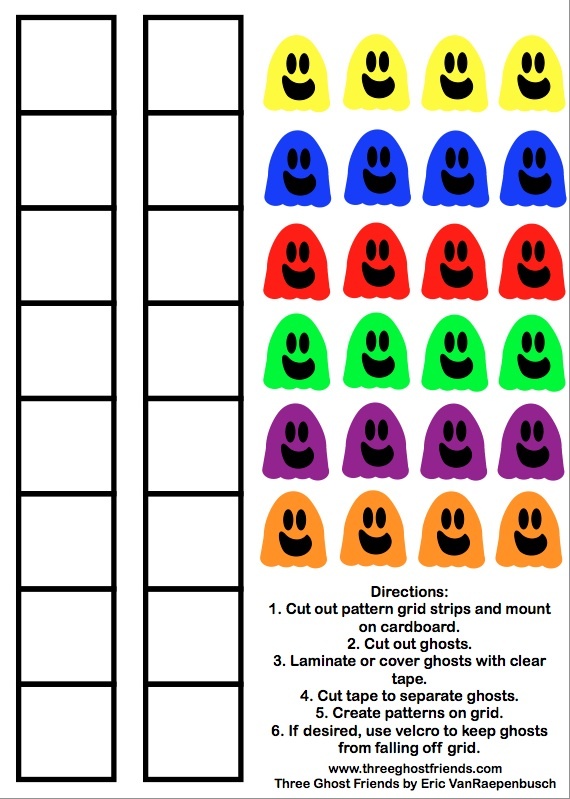 This enclosed the ghosts completely in tape -- instant lamination!! Then, I trimmed the tape around the ghosts. I started patterns for my son and he completed them. 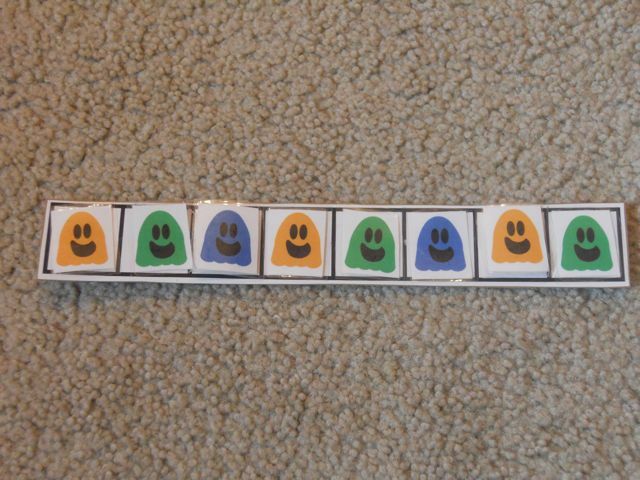 First, we did A-B-A-B patterns and A-A-B-B patterns. 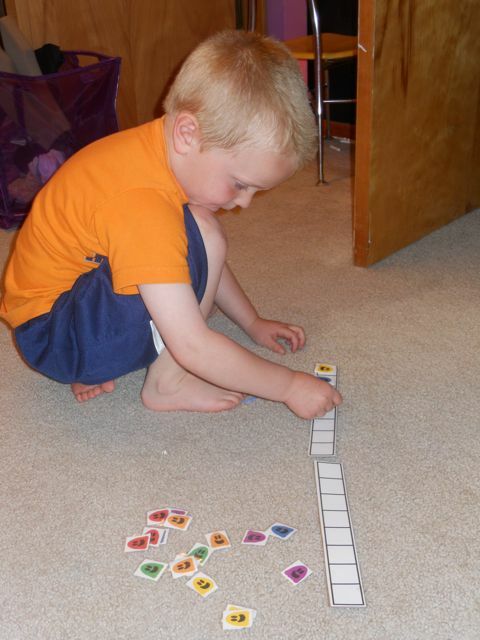 Then, we moved on to other patterns A-B-C-A-B-C, etc. He wanted a challenge so he put two pattern grids together! Place all the ghosts and pattern grids in a storage bag to keep all the pieces together.